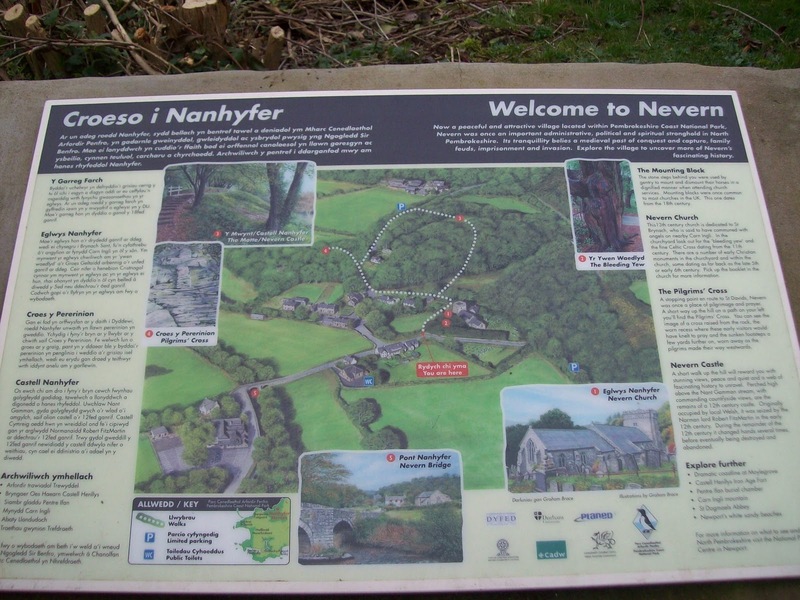 Today’s walk is described as the Nevern Loop as I had to call it something. A good half was nowhere near the Nevern! 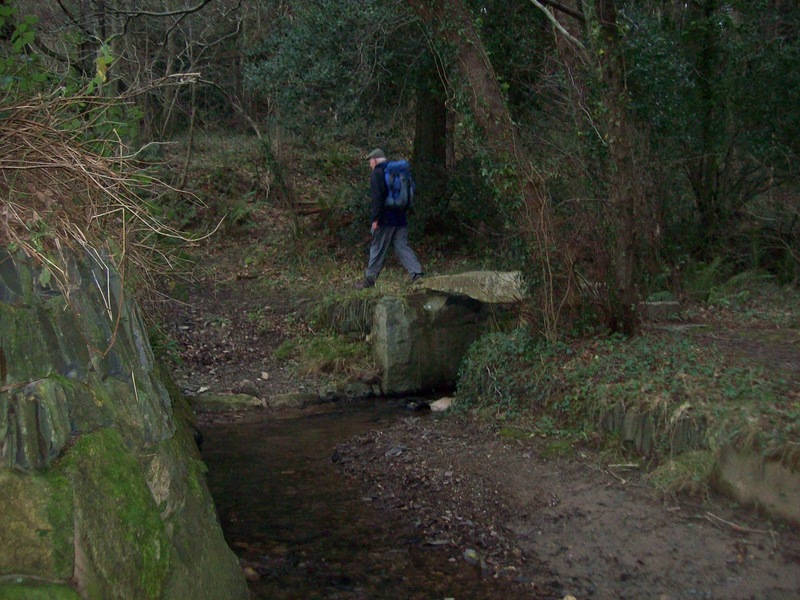 We started at the lay bye just up the road from Felindre Farchog and through the pub car park onto the path which follows the Afon Nyfer (Nevern). This is an excellent start to the walk on a lovely path. We came across a bench with a good view of Carn Ingli, about the only time the top was clear of mist. We had coffee break here with the promise of proper elevenses later! 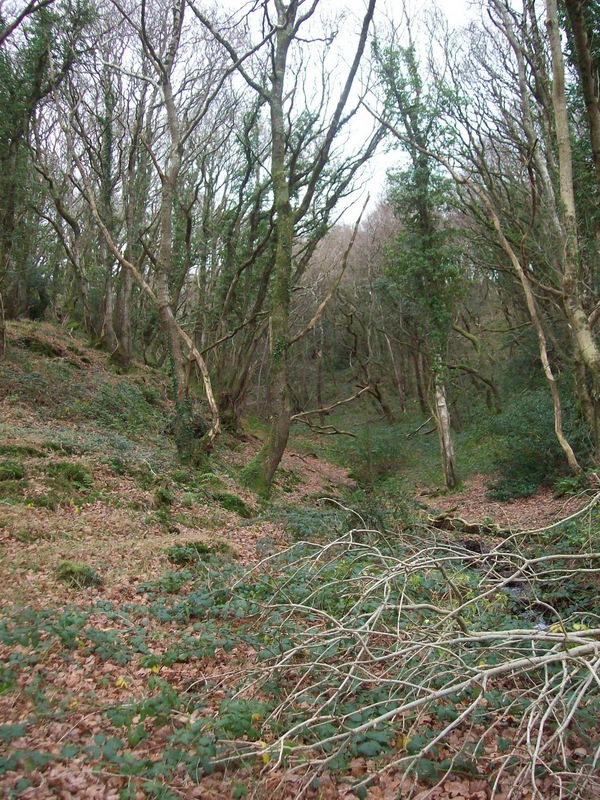 The path led to the church of St Brynach. There is a magnificent yew tree inside the grounds which almost hides the view from the road. 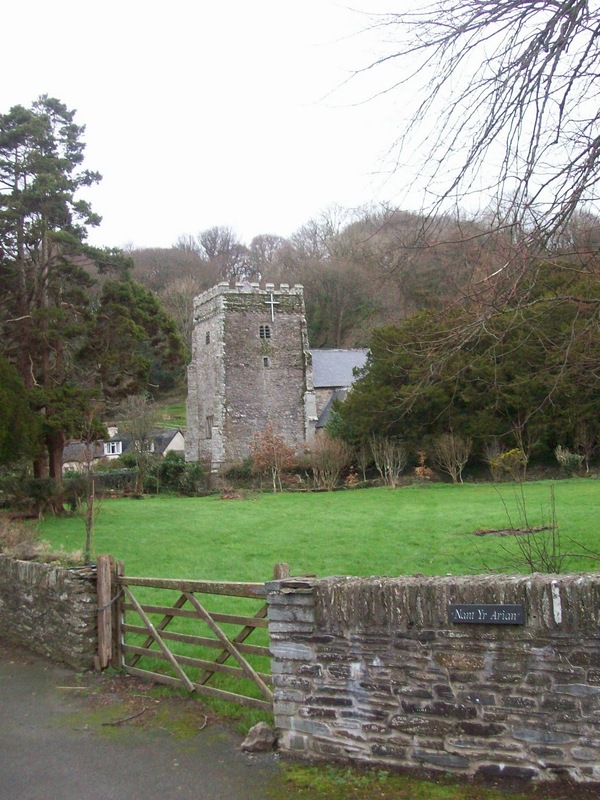 Adjacent to the church is a Celtic cross, which stands 13 feet and said to be around ten centuries old. 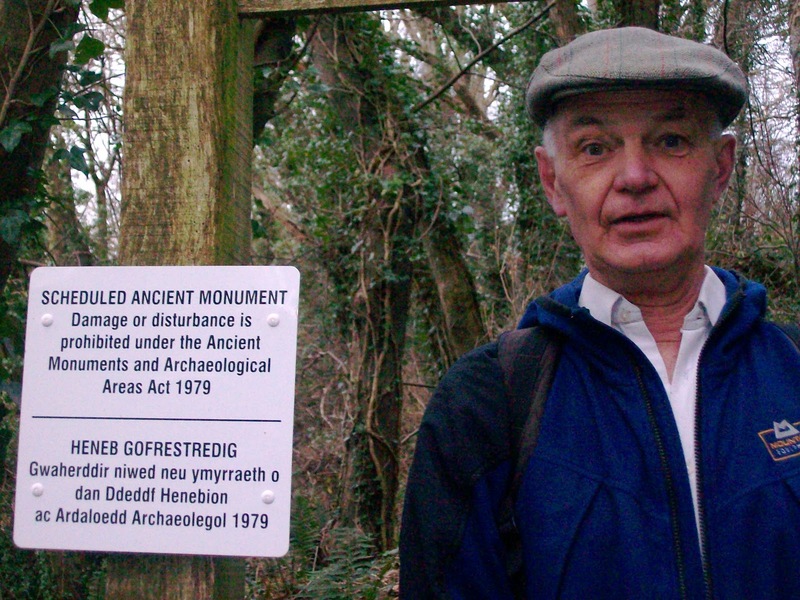 Outside the church is a mounting block and only one of two left in Pembrokeshire. We had our main morning break on Pont Newydd. 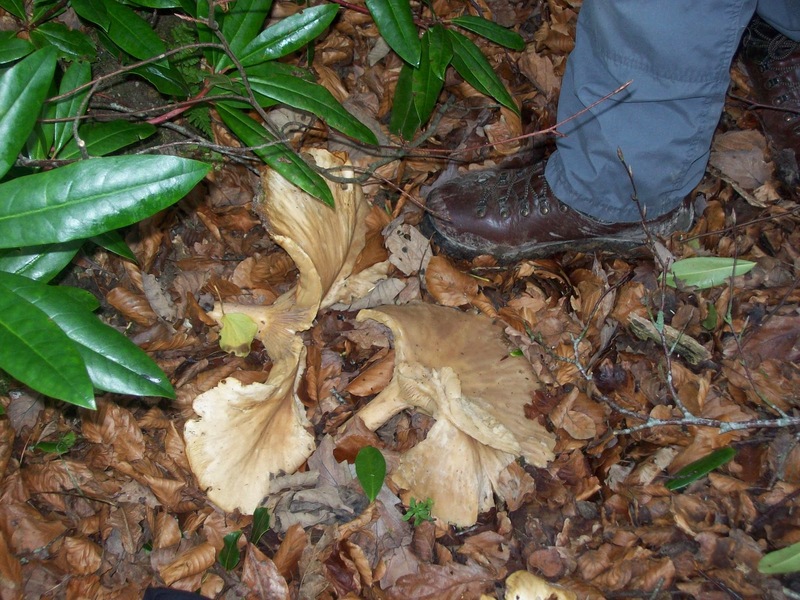 We then carried on up the path, passing some huge fungi of the funnel type. At the main road we turned right and took the footpath at the start of the lay bye and generally headed up the valley containingg the Afon Clydach. 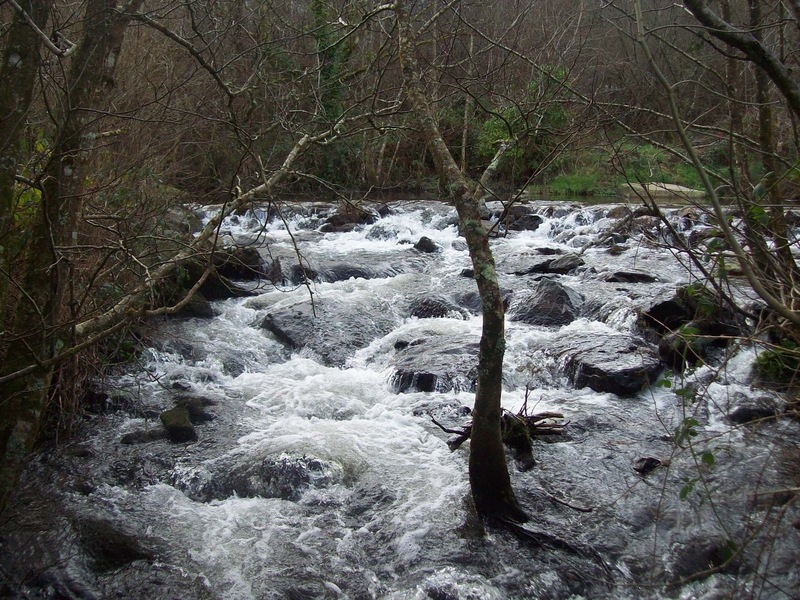 My previous walk also had an Afon Clydach and there is now a plan afoot to find other rivers of the same name. 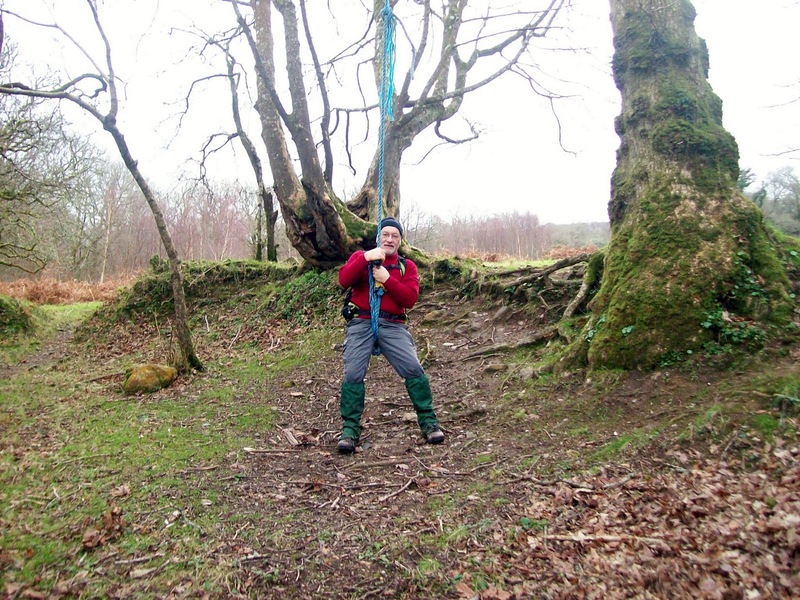 Somewhere in this valley we had lunch and then continued uphill not far from Brithdir Mawr where I spotted a tree swing and just had to have a go. 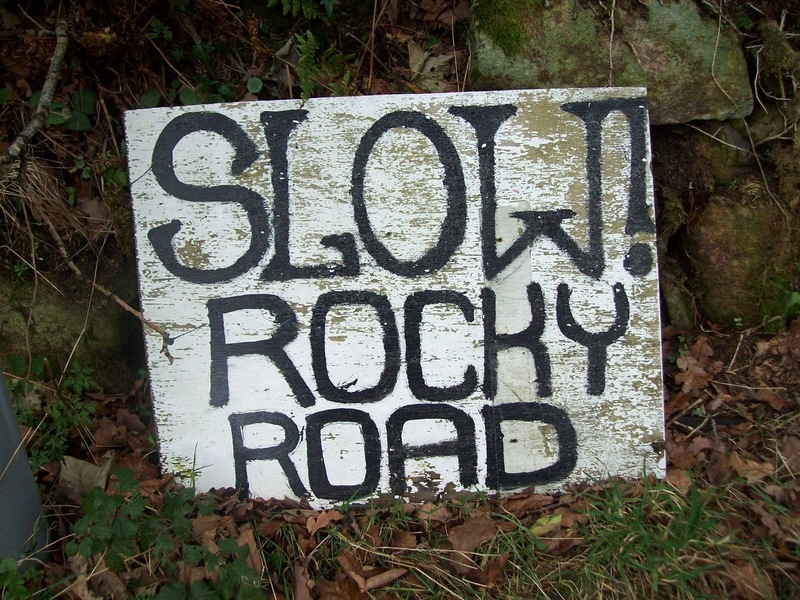 We eventually joined a road where the following sign indicated the type of path we had just come from. We turned left at the road and then passed a house known as Constantinople on the OS map although it appears to have changed the name to something less impressive. 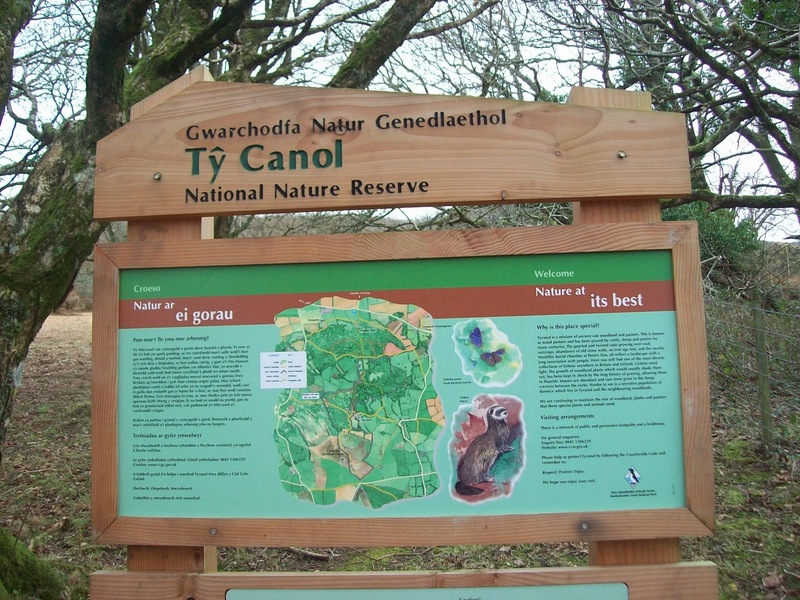 We now walked into Ty Canol Nature Reserve where afternoon tea was taken. It was here that some debate took place about islands being spotted in the distance. Two out of three were of the opinion they were in fact cloud formations. 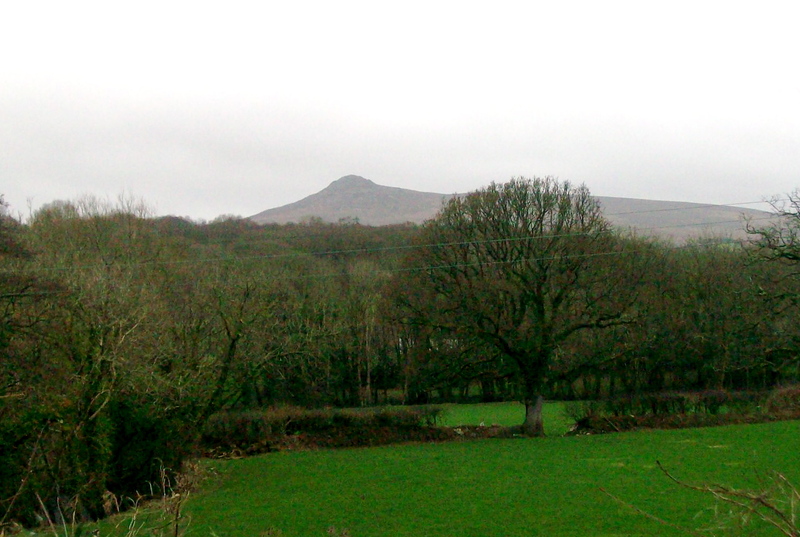 A bridleway was followed through to Pentre Ifan Farm which is a centre for Welsh youth (Urdd Gobaith Cymru). From here it was a short distance down the road to the car. Despite the walk taking place on 9th January it was very warm all day.